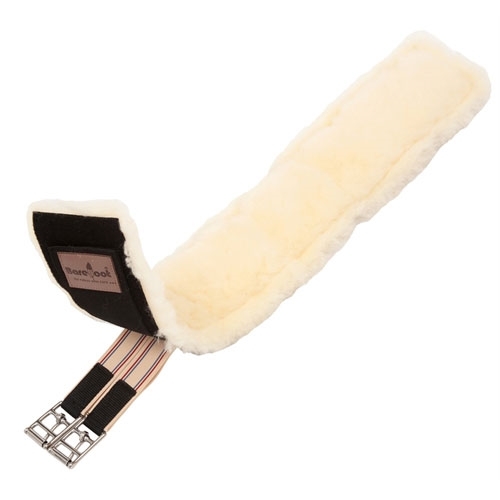 This super soft Barefoot Sheepskin Dressage Girth will help with horses that have sensitive skin. 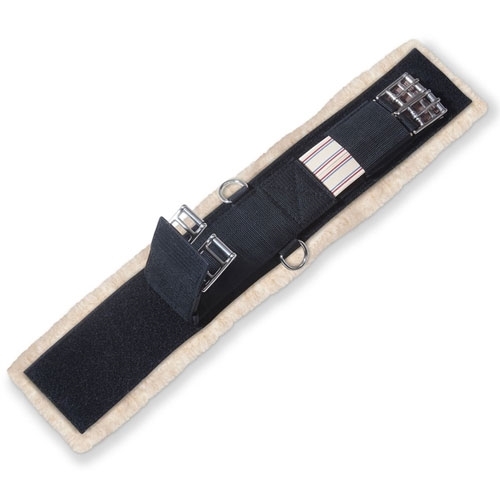 It is made of two components: Genuine sheepskin and black nylon. 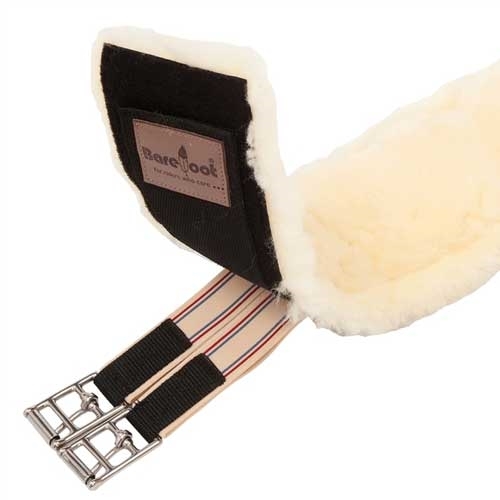 Sturdy velcro secures the two parts together, which allows you to remove the sheepskin for washing and slightly adjust the position of the girth on top of the sheepskin. Can be used with any treeless saddle with long billets and dressage saddles. The sheepskin is slightly wider than the nylon to avoid chaffing. It is a great girth for sensitive skins areas and helps to avoid chaffing and pressure sores. Sheepskin also acts as a natural anti-allergen and minimizes fungal growth. Sheepskin is also breathable and wicks away moisture and sweat to help regulate humidity, especially in the summer. The nylon has elastic on one end to allow your horse to breathe easily. The buckles are stainless steel. To wash, detach sheepskin from the nylon. Hand wash in cold water gently with mild soap, lay flat to dry. Do not get sheepskin anywhere near the dryer.